Are you a fan of the handsome Shaker furniture style? You’’re not alone! Shaker furniture has been a favorite of American homeowners for generations. Our collection of solid wood Shaker hutches epitomizes the simple elegance that makes a welcome addition to any dining room décor. Choose from more than two dozen gorgeous hutches in multiple styles and sizes. 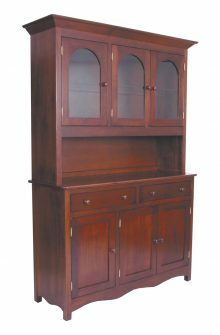 As an AmishOutletStore.com customer, you have the opportunity to customize your hutch to suit your specific tastes. 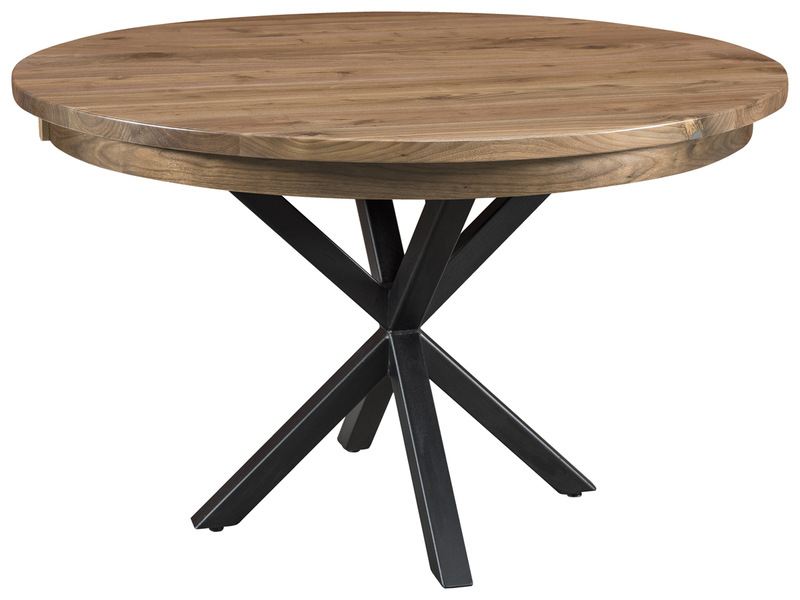 Have fun using the online design tool found on every product page to experiment with various hardwood options including oak and cherry, as well as other favorites such as maple and quarter-sawn white oak. You can also see how your hardwood selection will look with the many stain options we offer by using the online design tool found on every product page. Once you’’ve made your final selections, highly skilled Amish artisans will bring your design to life, producing an heirloom-quality piece that will be a fixture in your home for years to come. Whether your home has a traditional or country style, we offer Shaker hutches made of solid wood that will appeal to you. We offer a broad collection, because we know not every person wants the same type of furniture. Options include wider hutches, darker hutches, hutches with built-in lighting and hutches with extra storage. Our Shaker hutches are an excellent complement for many types of interior design and living spaces. Our Shaker-style kitchen hutches, for example, are a beloved addition to both modern, and more antique-style kitchens. At AmishOutletStore.com, our Shaker kitchen hutches will quickly become a cherished part of your home. Do you prefer two or three doors on the front? Do you want a taller and skinnier model that will take up less space or a more spacious, wider model? Do you like glass shelves or are you leaning toward wooden? Do you love the look of a mirrored back panel or enjoy the option of wood paneling on the back? 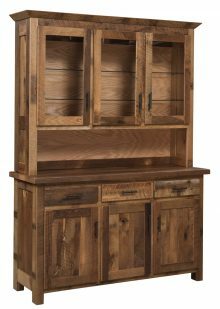 How Durable Are These Shaker-Style Hutch Buffets? You most likely plan to store items of great monetary and sentimental value in your new Shaker buffet. If that’s the case, then you need a piece of furniture that’s durable and made from high-quality material. You want something that will protect your fine china and heirloom silverware. You can’t take a chance on poorly constructed furniture. 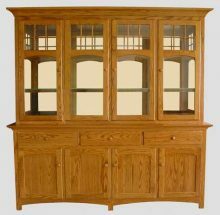 When you buy Shaker kitchen hutches made of solid wood from AmishOutletStore.com, you can put your mind at ease. We use only the best wood to make our sturdy hutches. We have outstanding craftsmanship that stands the test of time. We only sell items that meet our high standards. You can trust our furniture to remain reliable over the long haul. If you have a red tablecloth on your dining table, match the shade with a sophisticated table runner on top of the buffet. Use antique dishes or the silverware your grandfather ate with as a baby as decorations you carry throughout the room. Put pieces on your hutch but also in other spots, such as on the walls or as a table centerpiece, to improve continuity. Giving a room a new coat of paint can spice up the décor quickly and bring together different pieces next to a new hue. 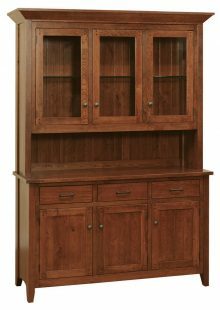 If you still feel your room isn’t coming together as you’d like, consider replacing your existing furniture with sets from AmishOutletStore.com that match your new hutch. You’ll love the uniform look you achieve, and we offer lots of options to pair with our buffets. 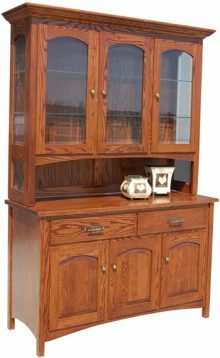 If you’’re looking to save money on high-quality Amish furniture, you’’ve come to the right place! 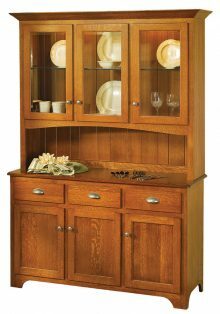 Purchase any hutch in our collection today and get up to 33 percent off the regular price. We also offer a discount on large orders and when paying for your hutch by check. Take a closer look at our collection of attractive, durable, solid wood Shaker hutches and order the one that works best for your dining room today!